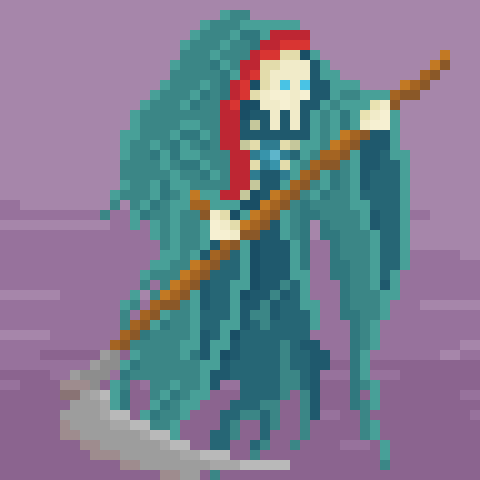 Wraith [48x48] by Sven T.
Won't you add animations for Wraith?? Probably not, it's very old and I think I would prefer to redo the sprite if I ever add animations. Thanks for your interest! This Creature is Just AWESOME!! I am in love with Your WORKS, Buddy!! Please Allow me to use this In my Game!! I am adding just some png or image if others credits, But I am Making a GIF or small Video of how much you helped, Your assets, their Links, And Your Twitter, note: I am also a follower of you in Twitter.